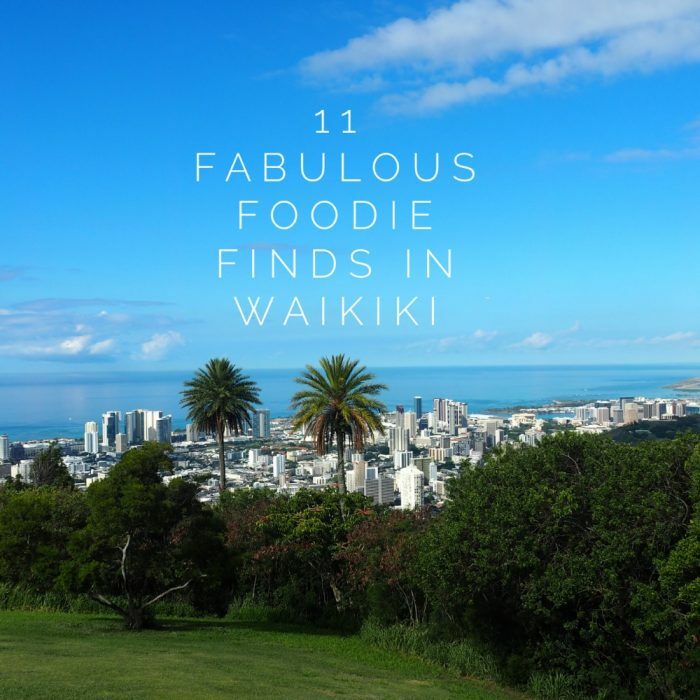 I did a lot of research before we went to Waikiki and drew up my own edible bucket list because that place is full of deliciousness and I didn’t want to miss a bit of it. We almost ran out of time, not to mention stomach space but in the end, I’m pleased to say we squeezed everything in (including us into our jeans) and now I’m happy to report back to you with our favourite foodie finds. I think we covered everything from pub food to sunset dinners, baked goods to ice cream, food trucks to food challenges and lots more besides. 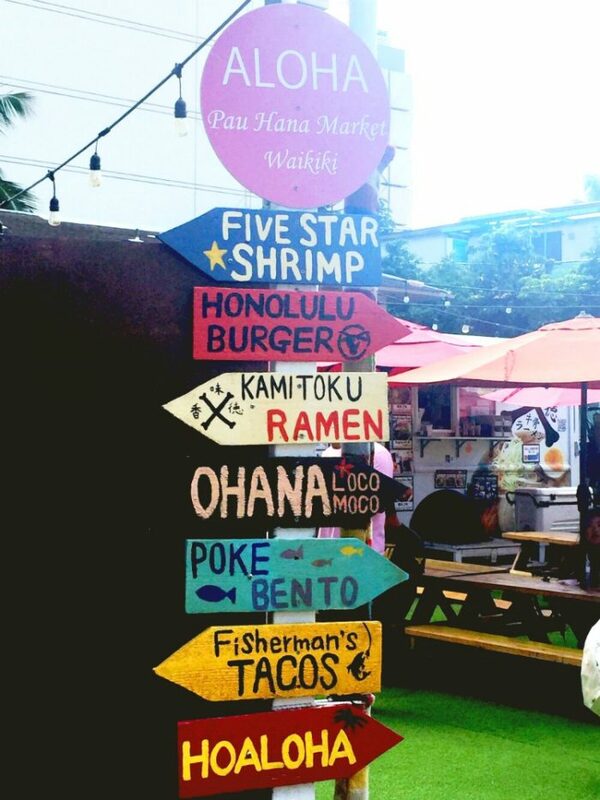 One thing is for sure, you won’t go hungry in Waikiki! 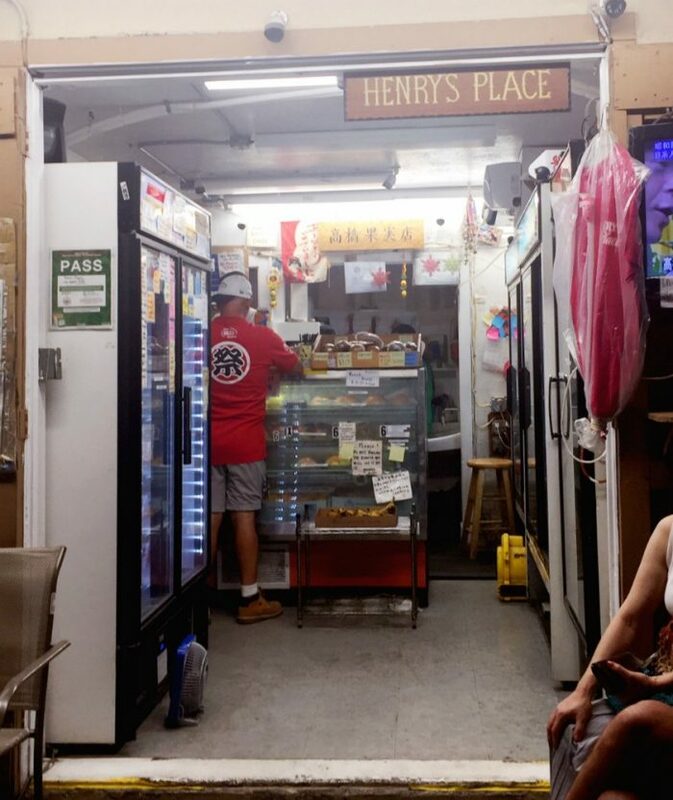 If there’s one thing you really don’t want to miss out on in Waikiki, it’s Leonard’s malasadas. The bakery is a local institution and has been delighting the world with their super delicious malasadas since 1952. These Portugese doughnuts are best enjoyed warm – they’re kind of like the doughnuts you get from a hot doughnut van, only they’re way lighter, way fluffier and way more delicious. Choose from a regular malasada, or a malasada puff which is filled with either custard, chocolate or coconut. 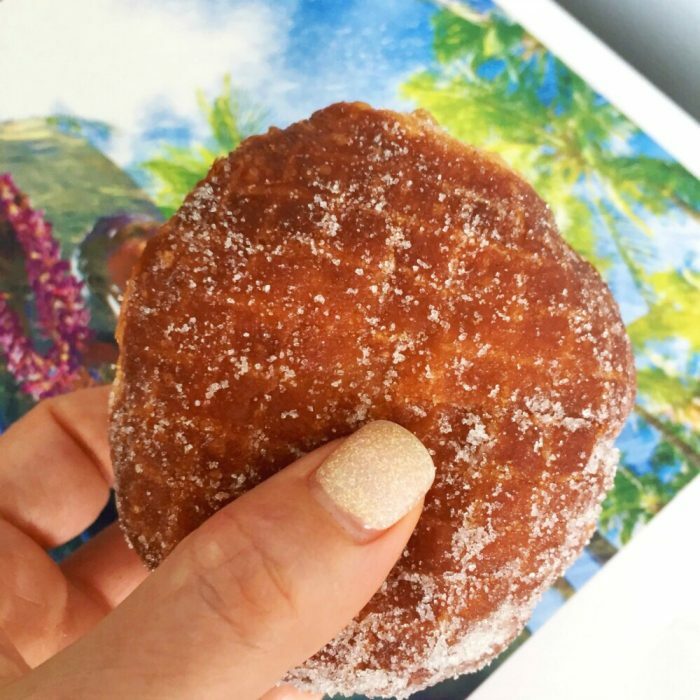 Choosing your favourite malasada is like choosing your favourite child, so my tip is, save yourself the bother and get a selection so you can enjoy one of each. You’ll also find other baked goods and pastries here, but I only have eyes for the malasadas. 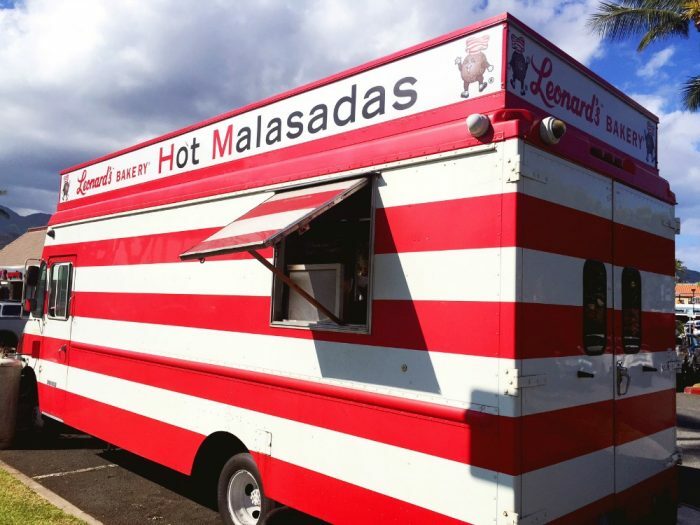 If you can’t get to the bakery on Kapahulu Ave, do as we did and head out to the Malasadamobile (yes, that’s totally a thing!) to get your fix. 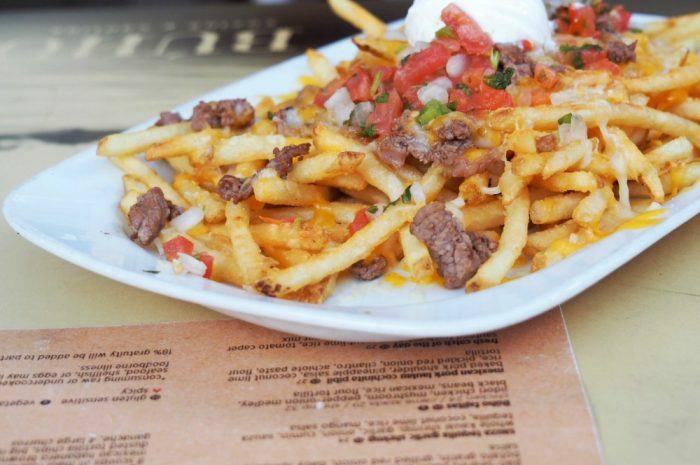 If you think spicy is nicey, you’re going to love the relaxed, modern roof top that is Buho Cantina. There’s a great vibe, a moreish Mexican menu, a cracking list of Mexican inspired cocktails and some fabulous live music. There food really hits the spot and there are some great deals to be had at happy hour when some of your favourite food items are slashed in price. 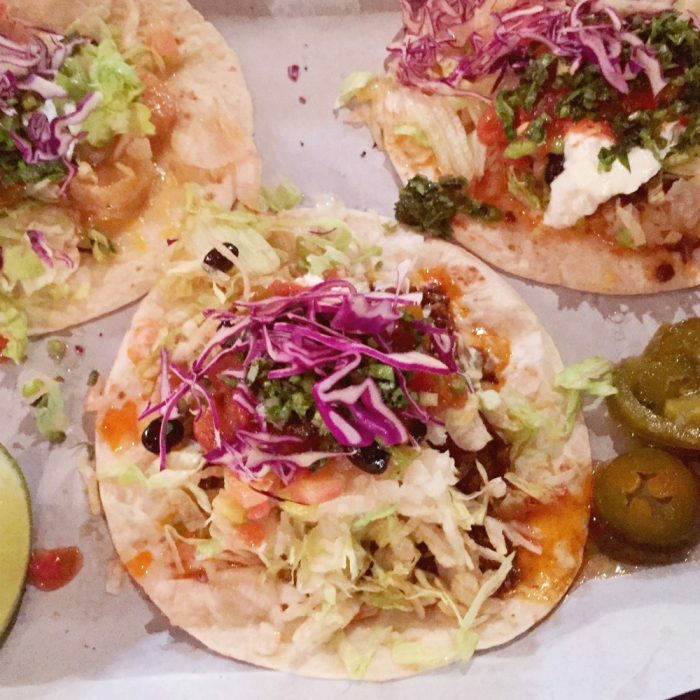 There are $2 tacos on Tuesdays but get in early or be prepared to get in line. This place gets super busy so reservations are recommended. I popped my Cheesecake Factory cherry in Waikiki and it will always have a special place in my heart. Since that glorious day 10 years ago, I’ve eaten in a lot of Cheesecake Factories, but none comes close to matching the awesome of the Waikiki version. This opinion must be widely held if the queues to get in are anything to go by. 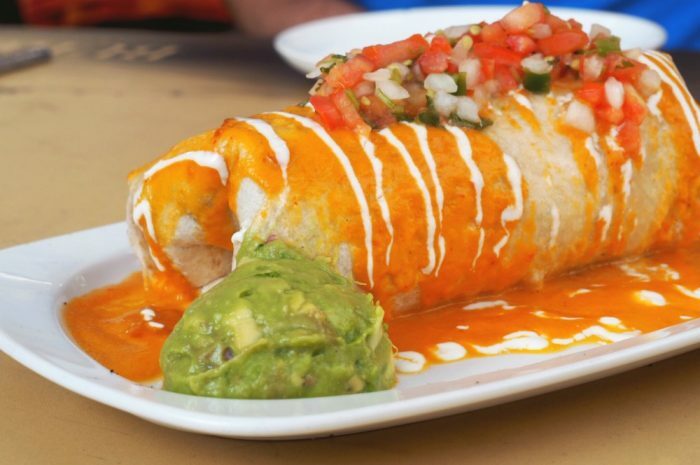 It’s not surprising this place is so popular, it’s got a vast menu, huge portions and reasonable prices and I can assure you that you will leave neither hungry nor disappointed. The kicker is that everyone else probably loves this place as much as you do, and they don’t take reservations so be prepared to wait up to an hour at busy times. This is Bill Granger’s Hawaiian offering and it’s mighty fine. The upstairs dining area has a great vibe, chic, tropical decor and friendly servers. 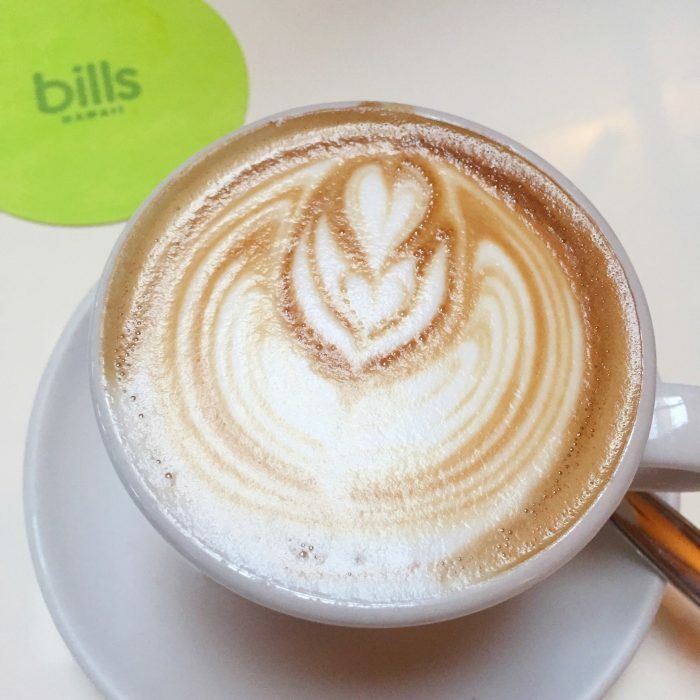 The menu includes Bill’s classics that we all know and love including corn fritters, ricotta hotcakes, and other delicious locally influenced/fusion dishes. 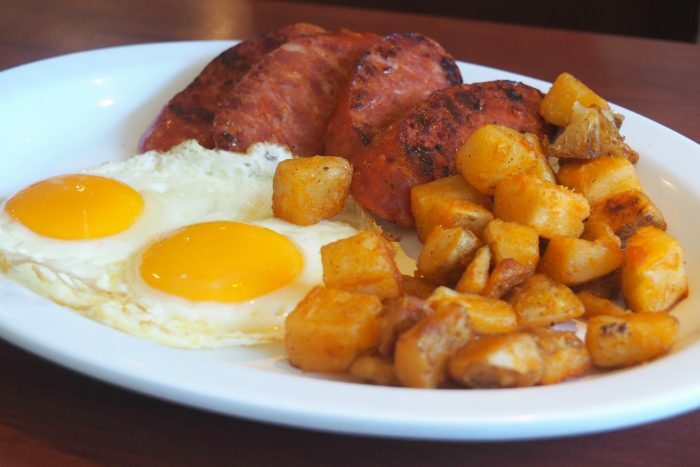 This is an especially good choice for breakfast/brunch and you can rest assured that whatever you choose will be delicious. And if all that’s not enough to tempt you, the coffee is great too! Walk ins are welcome but you can make reservations too. Here you’ll find a good range of local craft beers, great cocktails and reasonable pub food. 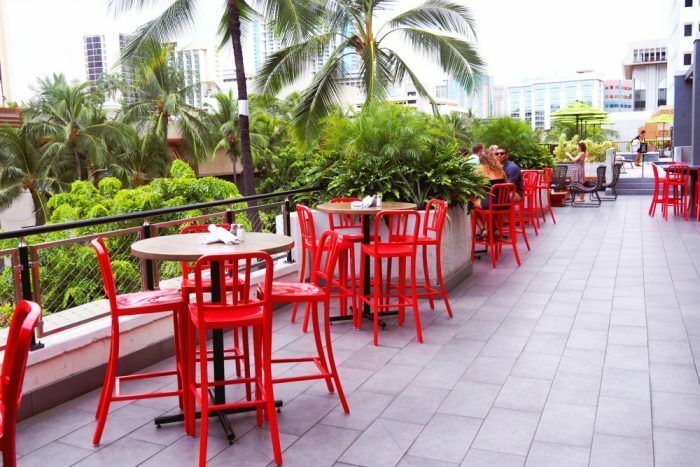 Located in the heart of Waikiki, this place is relaxed, fun and friendly and is ideal for couples, families and groups. 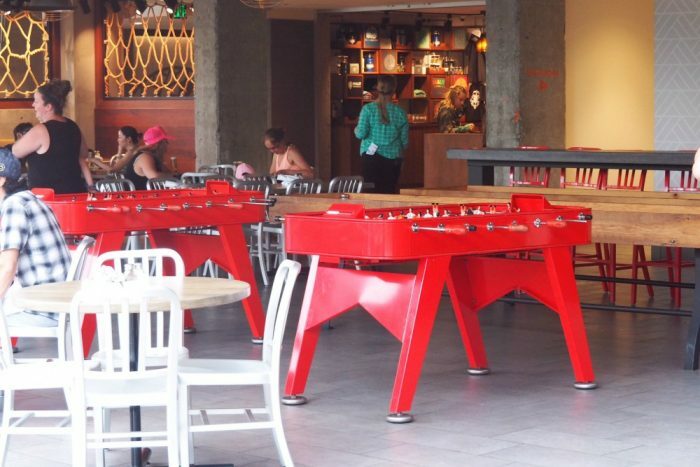 It has a plethora of both indoor and outdoor seating, a humungous bar and some great live music. What’s more, it takes reservations and covers all the bases with breakfast, lunch and dinner and also has some cracking deals at happy hour. Located in the Halekulani hotel, this indoor/outdoor restaurant serves a meal with a view. As you would expect from a hotel of this calibre, both the food and the service are top notch but the vibe is relaxed, casual and not stuffy at all. 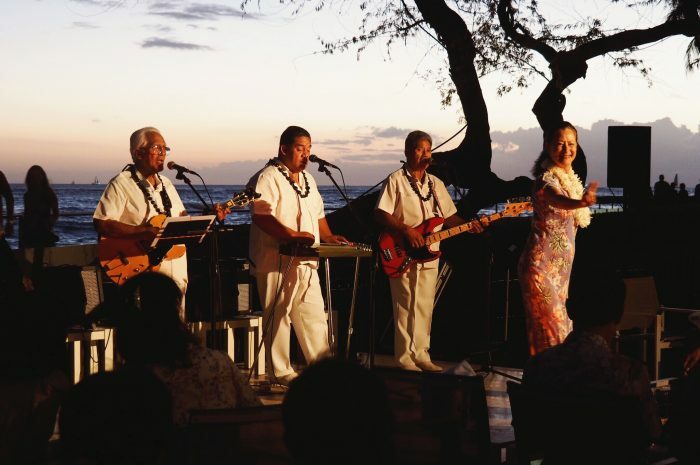 It serves breakfast, lunch and dinner but there’s live Hawaiian music and dancing every night (5.30-8.30) so you get a generous side of entertainment (and see the sunset) with your dinner. It’s just the ticket for a special occasion. 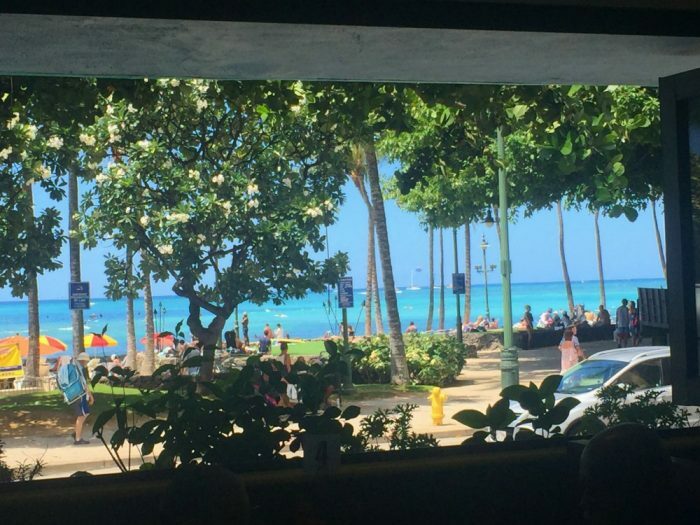 Located in the Hilton Waikiki Prince Kuhio Hotel, this chic 24 hour diner offers breakfast, lunch, dinner and everything in between. 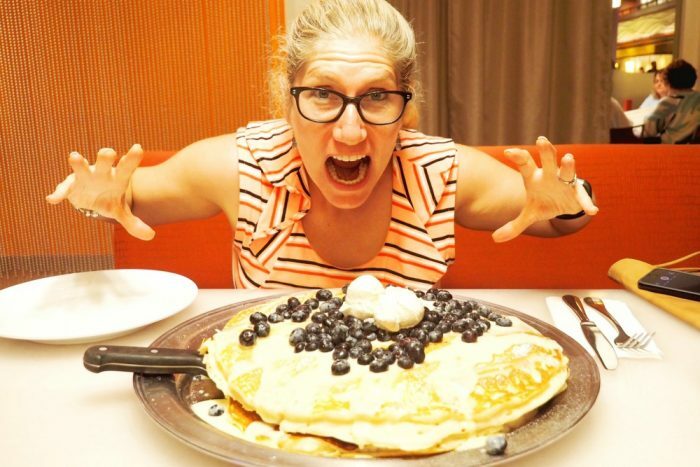 There’s a varied and extensive menu but if you’re feeling peckish you might want to have a crack at the Mac Daddy Challenge and attempt to eat five pounds of pancakes in 90 minutes. It’s fun but it’s filling! 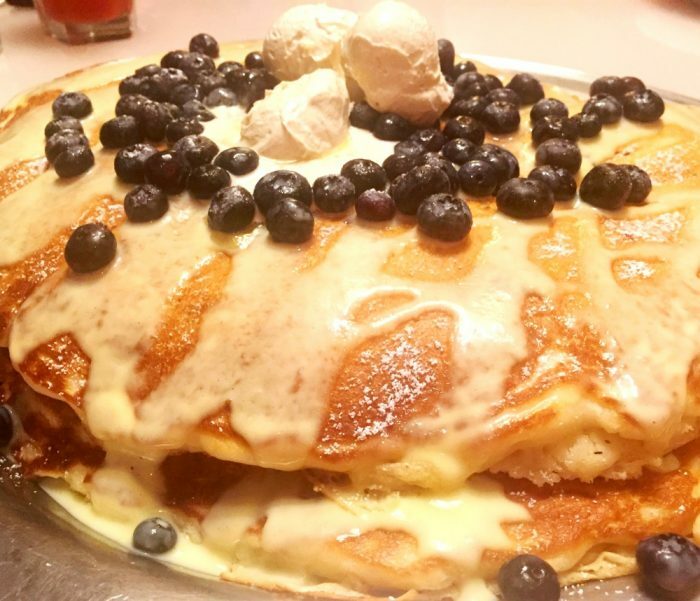 If outsize pancakes aren’t your bag, they serve smaller pancakes and offer lots of other delicious options too from including classics like Mac ‘n’ Cheese and Fried Chicken and Waffles. You can make a reservation and rest assured that you will not leave hungry. This Waikiki institution has been keeping locals and tourists plied with pancakes, omelettes and crepes (and lots more besides) since 1974. You’ll find this branch right across the road from the beach, just look for the long line outside. Here you’ll find good food and good value, and service although a little unconventional, is swift. How it works is this, you check out the menu while you wait in line, order when you get to the front, then join a new inside line to pay, and then cross over to another line to wait for your table. Although it’s a bit convoluted, your food arrives at your table almost as soon as you sit down, as if by magic! If you’re lucky you’ll score a spot next to the window with a side of ocean view. Tommy Bahama’s has it all, a bar, a restaurant and a great menu, service and views. The bar is located on the rooftop, has a relaxed vibe, great happy hour and is perfect for small or large gatherings. The restaurant is on the second level, and although it’s a tad pricier, the food is super good. Of course, being Tommy Bahamas and being in this location, it’s not cheap, but it’s worth it. 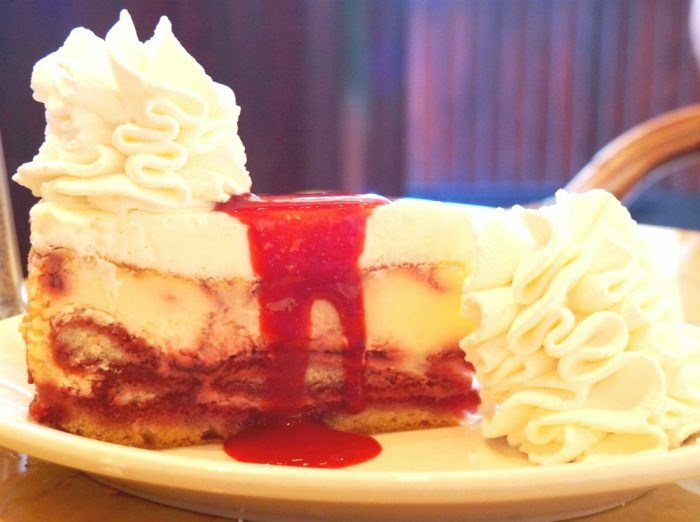 Oh, and don’t forget to save some room for dessert! 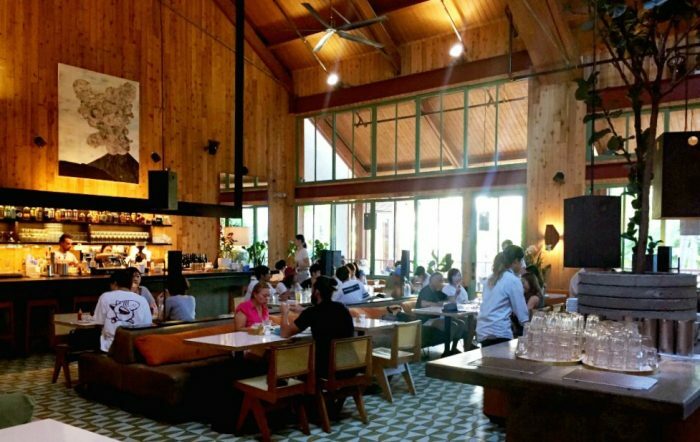 Imagine an outside food court, only more intimate, and a lot more kitsch and you’ll have some idea of what eating at the Pau Hana Market is like. There’s a decent range of food on offer, ranging in quality and price with everything from shrimp to ramen, burgers to tacos plus local specialities. 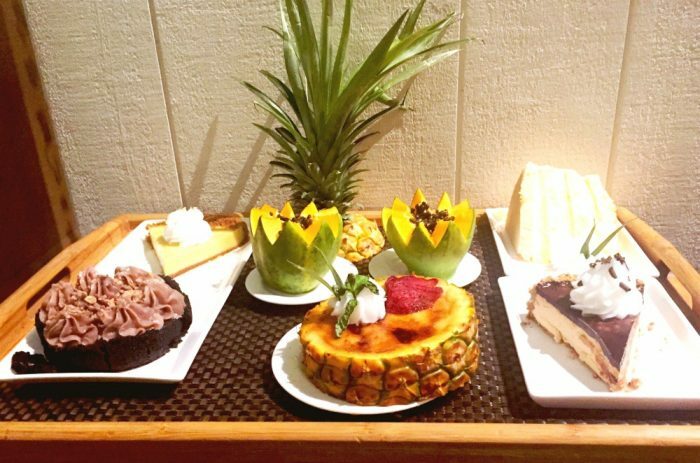 It’s likely that you might eat some of the most reasonably priced and delicious food in Waikiki and it’s just the ticket when everyone fancies something different for dinner. The Loco Moco is my pick (a local speciality of white rice, topped with a hamburger patty, a fried egg, and brown gravy) and don’t miss the Fisherman’s Tacos. There’s a reason they’re so popular! Don’t blink otherwise you will miss this no-frills hole in the wall that sells dairy free sorbet, ice cream and fresh fruit and sandwiches. 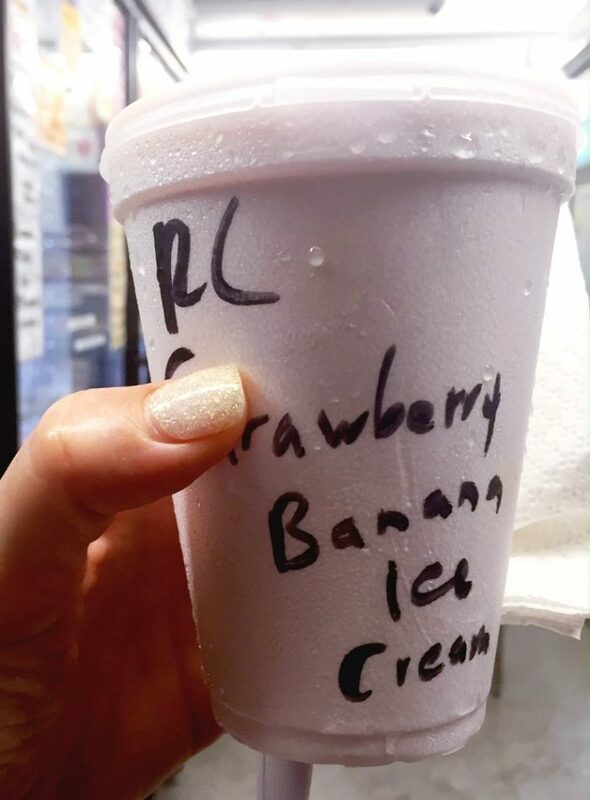 The ice cream is unmissably good and sold in styrofoam cups labelled with marker pen. The ice cream is made fresh daily, it’s cash only and there’s a few odd chairs to sit on outside. Arrive early to have your pick of the pops! Not technically food, but just as essential, (at least to me) is good coffee! 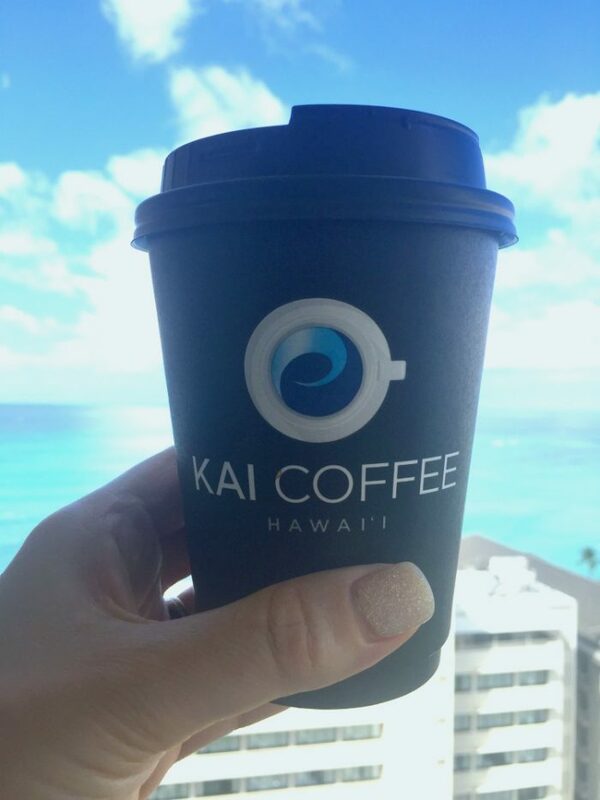 If you’re looking for a quality caffeine fix, head to Bill’s or to Kai Coffee, located on the ground level of the Hyatt Regency Waikiki Resort and Spa. You will not be disappointed! 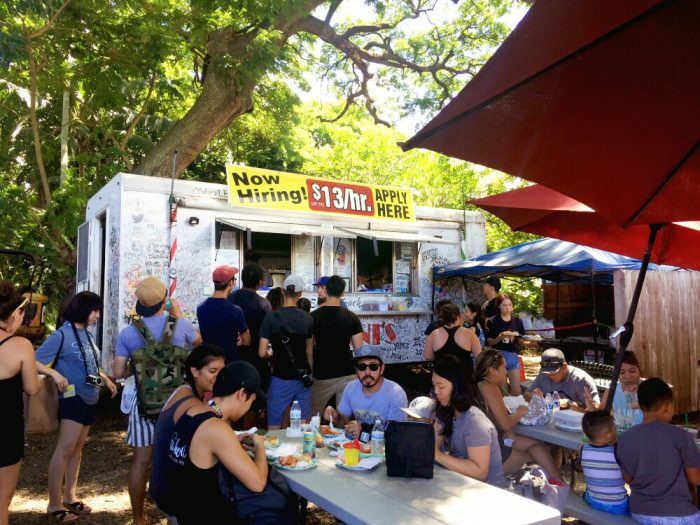 By the by, if you’re venturing out of Waikiki as far as the North Shore, be sure to make a pit stop at Giovanni’s Shrimp Truck (66-472 Kamehameha Hwy, Haleiwa.) Look out for the graffiti covered truck with the long line and grab yourself some scampi to go. The shrimp is marinated in olive oil, fresh chopped garlic and lemon butter and is sauteed in a pan. It’s not to be missed! 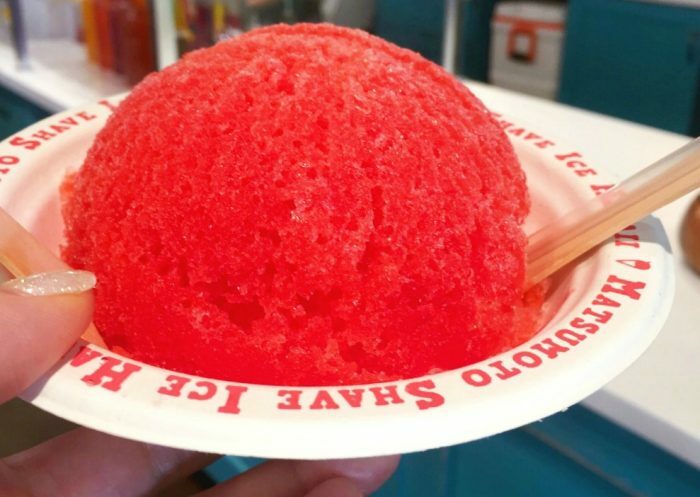 Afterwards cool yourself down with some Matsumoto’s Shaved Ice, (66-111 Kamehameha Hwy #605, Haleiwa) don’t worry about the queue, you can choose which of the forty flavours you’ll try while you wait. The lychee flavour is crazy good, just sayin’! When checking out the menu, remember that 4% tax is going to be added to your bill, and that unless your food was a kitchen nightmare, you’ll be giving a 20% tip to your server. For American wait staff, tips aren’t a pat on the back, they’re a lifeline and they depend on them to survive. Incidentally, if you want to brush up on your US tipping etiqutte, this post will see you right! So tell me, which of these tickles your fancy? Do you have edible bucket lists too? Have you ever been to Waikiki? Got anything to add to the list? I’m already looking for new places to try next time, because there will be a next time! All these meals including ice creams and baked goods were thoroughly enjoyed and independently paid for.